New hires, acquisitions, funding rounds, and international expansion - multiplayer game creation platform Roblox has just about run the gamut of major business news this year. It's been a surprising and (mostly) pleasant news cycle for a company that in the past has been content with much quieter growth. Chief business officer Craig Donato said that the sudden flurry of activity was prompted by a very particular boom in growth. Though Roblox has been around since 2005 and has generally seen steady growth since its inception, the last two years have been especially dramatic. This year alone, the community's creators are poised to bring in over $70 million in payouts for games made in Roblox - double the amount earned last year. Donato chalks this boom up to two network effects, the first of which is the game's ecosystem and increasing number of created games. "The more games we have, the more creators we have, the bigger an audience we have," Donato said. "The bigger audience attracts more creators, and we've even seen in the last year the number of active developers on our platform double. We went from a little over two million last year to over four million this year each month actively building games on our platform. "We haven't pulled the numbers from this year yet, but last year I believe it was something like over 11.5 million titles were published with over 1500 having over a million plays each. That's just a really vibrant ecosystem that drives the overall attractiveness of the platform. Every time you tune into Roblox, there are new games, different experiences; the diversity of the experiences on our platform represents the diversity of our creative ecosystem." "The primary way people find out about Roblox is they get invited by their friend"
The second, Donato said, is the simple fact of Roblox being a social gaming experience rather than a single-player one. "People predominantly come to Roblox to play with their friends and have these shared experiences," he said. "Unlike in a traditional game, where you're trying to win, Roblox games are these wide-open experiences where you can become a virtual bird, or work at a pizza restaurant, or try to break out from prison. They tend to be really cooperative, so they're ideal for playing with friends. As a result, the primary way people find out about Roblox is they get invited by their friend. "Whether it be Roblox or Fortnite, it's all about playing with other people in competition with them or [cooperation] with them," Donato said. "But it also is rolling in aspects of entertainment. You're seeing streaming - people are spending a ton of time not just playing Roblox, but watching. People play Roblox on places like YouTube and Twitch, and celebrities get involved. There's this new category, internally we don't have a name for it, but I think of it almost as 'play-based entertainment,' where it's really the merger of social gaming and entertainment. I think that's exciting for people - they're really helping create this new genre of gaming." Word of mouth marketing like this has had tangible results for Roblox, especially in the last two years. 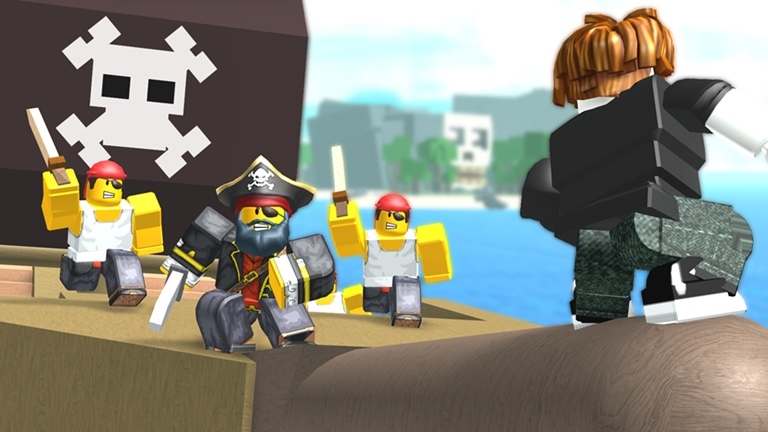 Though the name 'Roblox' might not immediately ring a bell with adults in the same way other major kids' games might (such as Minecraft), Donato said the game's popularity can't be denied. "We don't do a lot of marketing," he said. "We're a very quiet company. But that's led to us being very large. In March, based on engagement - time spent on our platform - for kids under 13, we were No. 1 and we were considerably bigger than YouTube, and for kids 13-17 we were No. 2, right behind YouTube. The company's really established a very significant position in terms of engagement with young adults." Donato told GamesIndustry.biz Roblox thinks of itself as a platform company, more akin to Netflix than a video game developer. It provides the Roblox platform, and its community's creators make games within Roblox. This means that rather than focus on the games themselves, Roblox is constantly working on expanding the capabilities of its platform and improving the infrastructure for that creation. And this year, the company has made a number of major moves toward that end. One move was a series of major hires, including EA veteran Julian Walshaw-Vaughan as VP of engineering, former Blizzard, EA, and Sony director Matt Brown as senior director of product, and former Activision Blizzard leader Enrico D'Angelo as VP of product. It's all part of a larger strategy to diversify the company's capabilities and build a stronger, more flexible platform. "We very much want to make an interesting soup of people with different backgrounds"
"We very much want to make an interesting soup of people with different backgrounds," Donato said. "So we want to bring in people like Julian and Enrico, real experts in the gaming sector, and we want to match them with other people with very unique skill sets. For example, about a year ago we brought on Grace Francisco from Atlassian, and we were looking for people to help us create our developer ecosystem. We thought, 'Who out there, what type of companies, have hired people that have managed million-person developer ecosystems?' And there's a very short list of people who have done that, so we really looked for someone like Grace to bring in that skill set. "Now we're focused on defining this new genre of gaming experiences. We want to bring in thought leaders that have tremendous experience in the gaming world to help us flesh out that vision, and I think Enrico and Julian and and Matt bring that vision to Roblox." 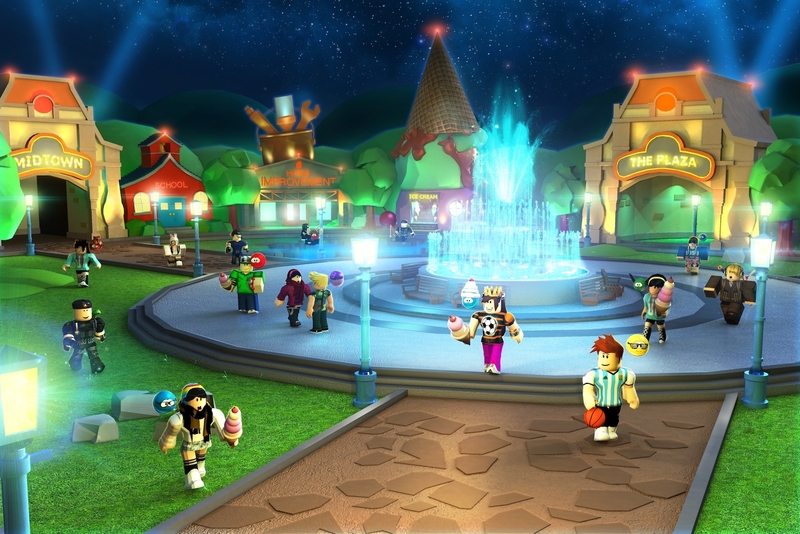 Another major move Roblox has made recently was to begin an international expansion of its platform, an endeavor for which it raised $150 million in Series F funding in September. Though Roblox already has players all over the world, the service has only been available in English for the majority of its existance. Now, Roblox has added Spanish language support, has French and German currently in soft-launch, and is planning other languages as well. Of course, adding that support isn't just about translating a platform or website. Building a broader international platform requires more powerful technology, too, especially since Roblox is a multiplatform and cross-platform service. Donato said that games in Roblox have to function fluidly on everything from an Oculus Rift to an iPhone 4. "Language support is a part of international expansion, but everything across our site needs to be a part of it," Donato said. "We're increasingly supporting a global creator ecosystem. Another thing is, we stream our games. That kind of infrastructure requires us to essentially have our own private cloud. When you bring up the Roblox app and you play a game, we're streaming it in real-time to your client. That's really important because that enables us to have a couple of things. It enables someone in Boston to synchronously play with someone in Brazil in the same world, and it also enables our platform to inherently be cross-platform. Somebody can be playing on an iPhone with someone on a VR headset. "Language support is a part of international expansion, but everything across our site needs to be a part of it"
"So we have to have our own cloud infrastructure, and one of the big expense we have is building a global game cloud. We've hired someone named Dan Williams who built the data center for both Facebook and DropBox - we hired him about six months ago and he's really leading our effort to build a full-fledged cloud for Roblox." To tackle the challenge of improving the Roblox platform for that expansion, especially on mobile (where Donato told me Roblox sees around 50% of playtime on the platform), the company recently acquired mobile performance improvement start-up PacketZoom. PacketZoom is particularly adept at working with mobile networks that can be unreliable or inconsistent, such as those in emerging markets, which makes it an understandable candidate for Roblox's mobile ambitions. "As a company that's growing as fast as we are, we're always looking at potential acquisition opportunities that can help us achieve where we want to go," Donato said. "Mobile's a huge part of our business, international is a super important part of our business, and PacketZoom neatly ties to both of those. It was a great opportunity for us." Donato also hinted that PacketZoom may not be the only acquisition on the company's horizon. "If there's a company out there that's built some interesting technology that would fold into what we do, we'd certainly be interested [in making another acquisition]. We have a team that's always actively out there looking. We want to do that very thoughtfully, But if there are other companies out there, we'd certainly be all over that. I wouldn't be surprised to see other announcements like PacketZoom in the next year." One of the biggest hurdles of Roblox's international expansion has come in the form of content moderation, which is an area in which the company has had struggles in the very recent past, including an incident in July where a group of players 'gang raped' another player's avatar. Since Roblox is primarily targeted at young children, a very strict, constant moderation system must be in place, and adding new languages complicates that. Donato outlined the company's moderation strategy, both in English and as the company approaches new languages, as resting on three major pillars. "With any online system there are always potential vulnerabilities. We just need to be incredibly diligent"
"Number one is moderator support in that language, so we need to spin up teams of people that speak French, German, Portuguese and Spanish, so it takes a while for us to train those moderators on our platform so we can moderate 24/7," he said. "And second is sophisticated detection algorithms. We track everything everyone says on our platform, and we'll either remove or flag inappropriate behavior. These things work hand-in-hand, so we need to train the algorithms for those languages. It just takes awhile. "We're first to move in French and German because the text filtering we use is easier since it uses the same alphabet. As we branch into places such as Korea or China it's a much more complicated thing for us, so there's a lot of R&D we need to do to make sure that our moderation technology is up to the task. We take that very seriously. "Then [third] there are the tools we put in the hands of our players and their parents. We have parental features like turning off chat and turning off other features, and also if anyone is in game and they don't like something they're seeing or what another player is saying, they can either mute them or block them. We want to empower our players to take control of their destiny as well." Donato acknowledges that no system is completely perfect, especially online. Sometimes, he said, inappropriate content will inevitably get through, though he hopes to avoid anything as severe as the aforementioned incident in July. He said the company had learned from what had happened and taken steps to ensure that kind of problem wouldn't happen again. "One of the challenges we have is that we have a very big creator ecosystem. We always need to stay one step ahead of things that are happening. And when something happens like that, we try to react super quickly and make sure it can never happen again. As you know, with any online system there are always potential vulnerabilities. We just need to be incredibly diligent and move quickly when something happens, and we did that in that instance."